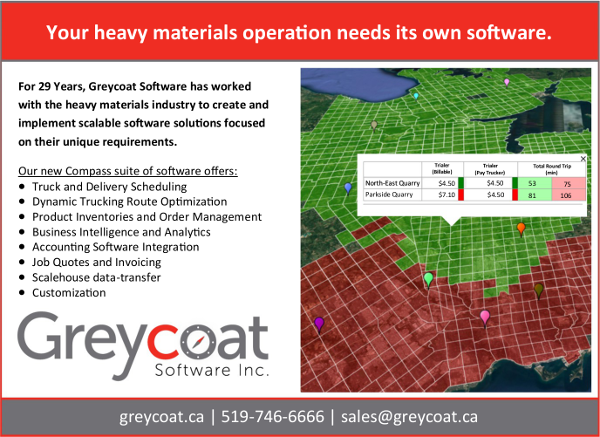 Greycoat offers a range of out-of-the box, modular, and custom software solutions designed and refined for heavy materials industries. Our comprehensive Compass software suite will help optimize your company's operation. Our online portal, Open Aggregates, is a great place to highlight your Pit and Quarry operations, while its more robust parent the Land and Environment Management places this powerful tool in a local network. WorkSafeLive is our new on-location task specific safety review and reporting application for smartphones and tablets. If our out-of-the-box software do not fit your needs, we will custom build the perfect solution. With over 3 decades working directly with our customers, we are confident our software will meet your requirements and exceed your expectations. The Compass suite is Greycoat’s flagship line of software for the construction and heavy materials industries, encompassing a wide range of programs geared to streamline your operations. 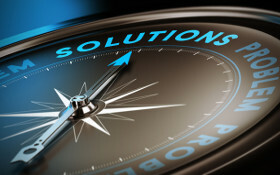 Whether you need an out-of-the-box program or a tailored solution for Order Management, Invoicing, Trucker Statements, Business Intelligence, Geo-analysis, Quotation, or Data Transmission between the scale-house and the business office, Compass can be implemented as a complete suite or on a per-module basis that perfectly fits your needs. For more on Compass, please visit our Details page and watch our 3 minute overview. WorkSafeLive is an on-location task specific safety review and reporting application for smartphones and tablets. 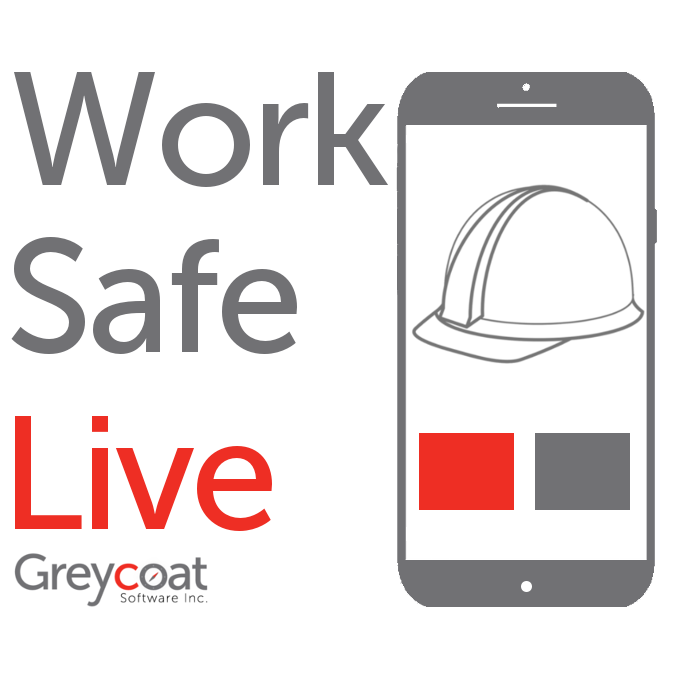 The first commercial version of WorkSafeLive was created by Greycoat Software in collaboration with an industry partner. The WorkSafeLive software was built to help meet pre-task legal requirements, identify training gaps, and increase team consciousness and cohesion around safety issues while enhancing workplace safety programs. WorkSafeLive will also improve responses to unsafe conditions and facilitate easy reporting of hazards and near misses while on a job site. The Land and Environment Management System is designed to present a complete geographic inventory of a company’s land holdings, details on permits and licences for operations at those sites, and thorough information about those operations. 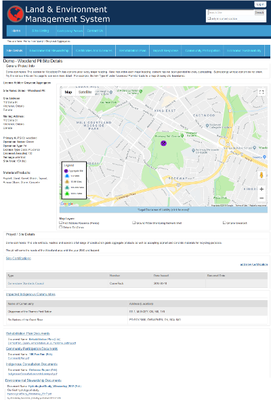 Designed with government regulations and industry best practices in mind, LEMS was created so that a company can easily, securely, and reliably access, add, and modify detailed information about their land holdings including permitted land use, environmental plans and procedures, site licences and certifications, Indigenous consultation documents, and other pragmatic areas. Open Aggregates is Greycoat Software’s online portal for sharing information about aggregate pit and quarry operations in Ontario. With a small team of in-house developers, Greycoat Software can also source and integrate external software into custom installations including QuickBooks accounting software, GEAC, SAP ERP, and scale-house data integration. For more information on personally tailored software, see our services and portfolio pages.